My company has a part time scheme called sabbatical. Where work and blocks of off time can be chosen. 2008 I opted for a three month break and work full time for the rest of the year at a reduced wage. 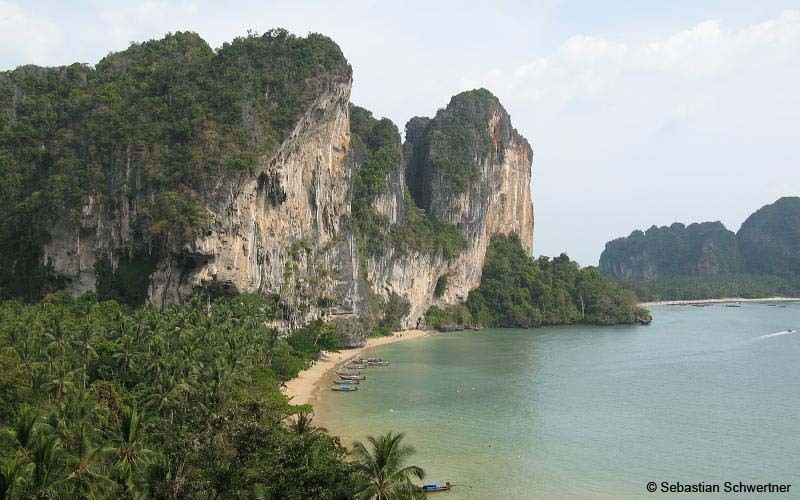 On February 1st, Debbie and I fly to Krabi in Southern Thailand via Bangkok. 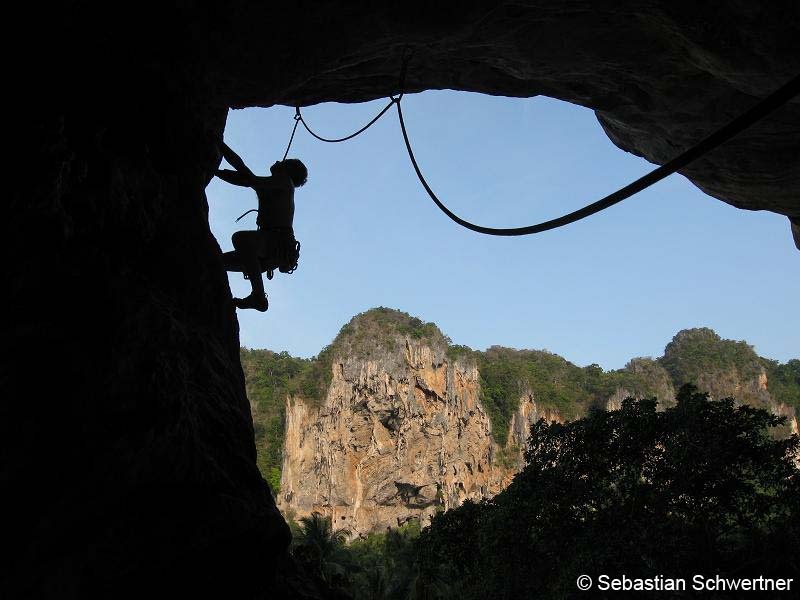 Besides phantastic beaches and palm trees there is some exceptional climbing found directly above the warm waters of the Andaman Sea. A paradise for heat resistent climbers. 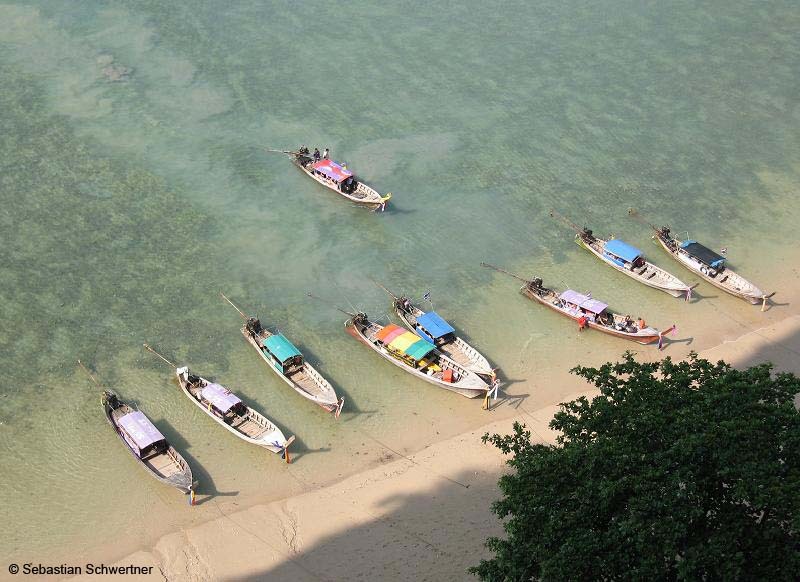 After a shared taxi ride and a short trip on a longtail boot we arrive in Tonsai. The small village doesn't have road access and has only three cars which are used as taxis and for garbage collection. We move into a small bungalow at the Banyan Tree Resort. The huts have their own bathrooms, a large bed with moquito net, but are pretty basic. For refreshment a cool shower has to do. And we have the chance to meet some residents (geckos, mosquitos, spiders and cockroaches). 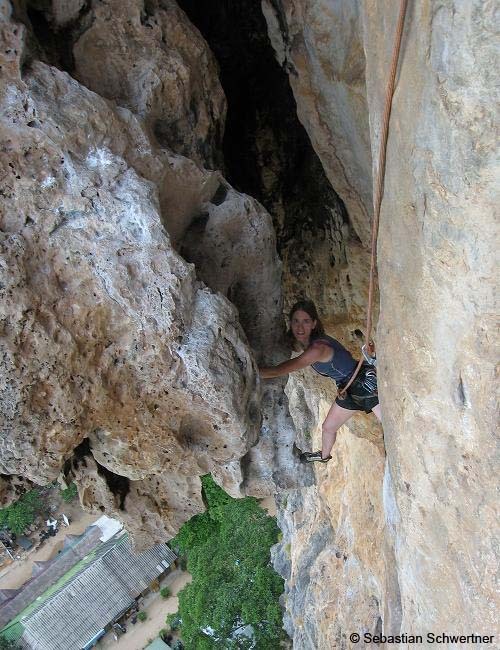 The cliffs are walking distance from the resort and the rock is steep, often covered with amazing tufas. Most of the routes are equipped with Titanium glue-in bolts. Even stainless steel bolts corrode here within a few years due to the salty air. It takes us a week to get used to the heat and the often smooth, polished rock. 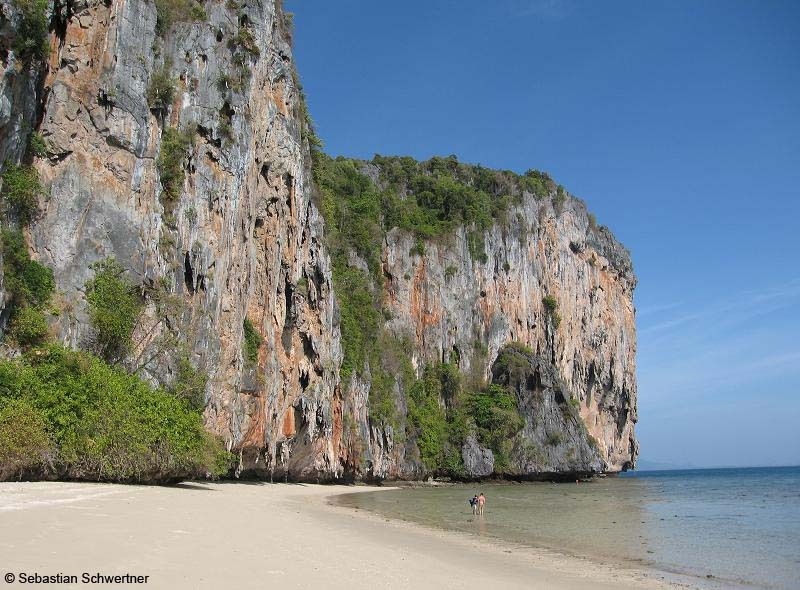 During the second week we go to Ko Lao Liang - a tiny island 300 km further south. There is a small diving station and a tent village there. The rest of the island is uninhabited and covered with steep, unaccessible rock. The cliffs are on the beach a mere 30 m away from our tent. It's really peaceful here. The food is excellent and so are the 50+ bolted routes. That's how Tonsai must have looked like 20 years ago.